Jason sees Sam and John kissing and storms off to the bridge, where he runs into Liz. He tells her that he saw McBam kissing. Jason says Sam doesn’t want to be with him. 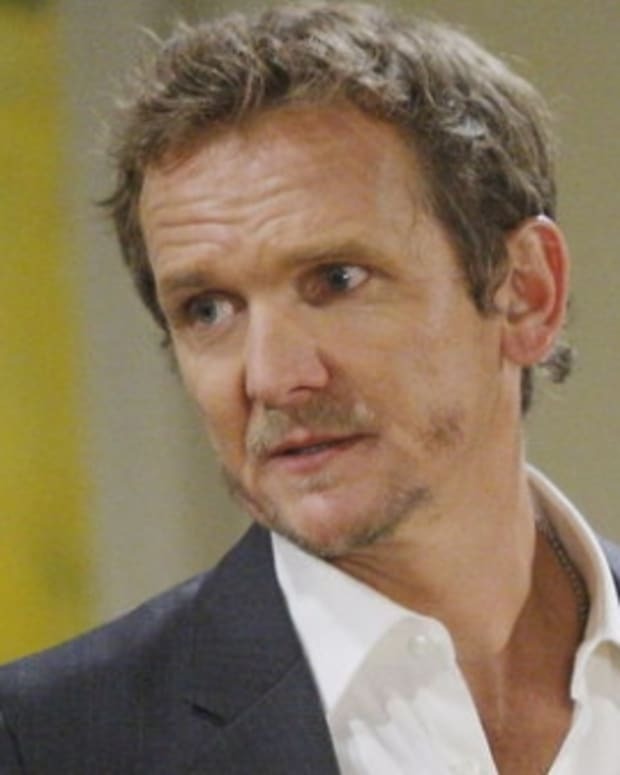 Liz thinks he should give Sam a chance to explain, which makes Jason angry and he accuses Liz of making excuses for Sam. He then apologizes for taking it out on her, since Liz has been good to him. Liz says she’s always wanted to help, going back to finding him shot in the snow. They kiss. Jason apologizes again for taking advantage of her. Liz figures Sam is still dealing with her grief and it would be a mistake for Jason to react. They they still need to process and heal. Sam apologizes for the kiss, saying she had too much to drink and not to make a big deal of it. John says he shouldn’t have crossed the line. However, he can’t ignore that something is happening between them. Sam admits that it started at the church, where they first met, and they have a connection. She wonders what they should do about it. John says he has no regrets, but he loves Natalie and his son. He doesn’t want to lose his good life. Sam says she doesn’t want to betray her marriage. John thinks Sam hasn’t been dealing with her loss and putting all the blame on Jason to punish him, but then wonders what’s left after. Sam says she doesn’t want him to betray his family. John says he’s going home tomorrow to get his life in order. Sam asks if he’ll tell Natalie that they kissed. John agrees not to hurt Natalie by telling her and Sam agrees it never happened. Michael apologizes to Starr for the kiss. He says he’s trying to respect their friendship, but couldn’t resist. Starr admits she couldn’t stop it either. Michael says friendship between them will be hard and maybe they need to spend less time together. Starr disagrees, saying she wants to be around him, spend time with him and give them a shot. Starr wants to start off slow, with no expectations, and Michael agrees to a casual date, with no pressure. Todd interrupts Carly and Johnny’s make out session to discuss with Johnny his taking over of Starr’s record contract. Todd says Johnny will drag Starr down. Carly defends Johnny. Todd accuses her of being naïve and deluded about Johnny. Johnny says Todd doesn’t intimidate him, which surprises Todd and he rattles off his list of recent sins. Johnny asks what’s specifically Todd is worried about. Todd says Johnny has an ulterior motive, although he doesn’t know what, since he has no reason to go out of his way to help Starr. Johnny says she’s been through a lot, that he’s hurt a lot of people for profit and wants redemption for himself. Carly says Johnny’s trying to be a better man. Todd claims Johnny will return to form and that people like that have a secret and Johnny asks what Todd’s secret. Todd claims he has nothing to hide, but warns Johnny that if he hurts either Starr or Carly that it won’t end well for him. After Todd leaves, Johnny wonders if Carly sees Todd as a friend. Carly asks if he’s scamming Starr, which Johnny denies. Lulu tells Patrick that Maxie has concerns about the drugs he’s taking. Patrick tries to deny, saying a nurse gave them to him. 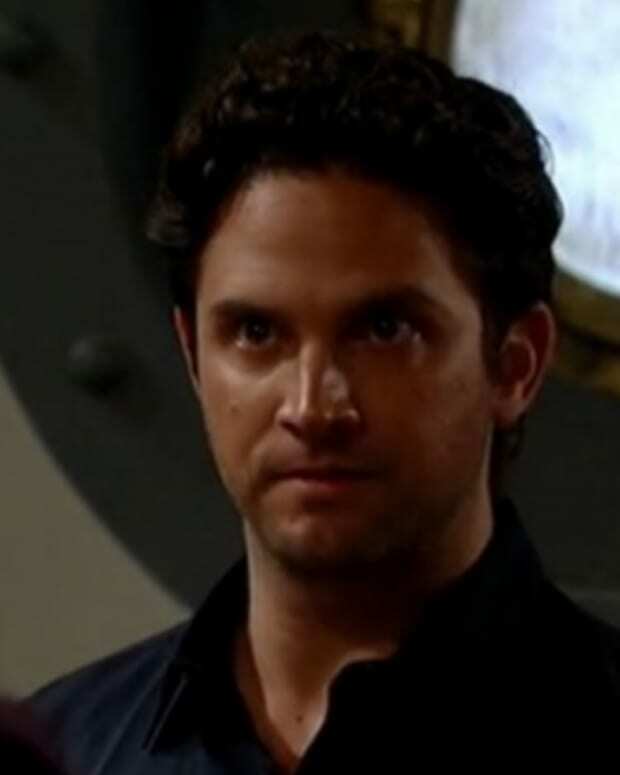 He then blames Maxie for trying to save him after what happened with Robin and Matt. Lulu says they know the drugs are amphetamines. Patrick accuses her of calling him a liar and that it’s not her business. Lulu says people use the drug to get high and that it’s for ADHD and if he in fact has that, to show her proof and if not her, than to show Monica the proof. Patrick swears he’s not some kind of junkie. He prescribed the meds to get through the day and that they have no idea what he’s been dealing with since Robin’s death. He says he’s not a mess that they need to clean up and that neither knows what grief is. Lulu points out that Emma could find a pill and take it, but Patrick swears it won’t happen. Lulu explains how she barely saw her father growing up and when she did, he had a drink in his hand to numb his reality. Lulu says Patrick can’t be the father that Emma needs and that he’ll lose that time which will cause permanent damage. Maxie points out Patrick’s own father and how bad he hurt Patrick. Lulu says he has a choice, to stop or to continue taking and making it worst. Patrick says there is no time limit to grief, but everyone is expecting him to be okay. He wonders what the next step is. Lulu tells him to get rid of the drugs and to talk to a doctor who can write a prescription, if he really needs it, and monitor the situation. Maxie offers to make an appointment with Ewen and thanks lulu for her help in the matter. Lulu points out that people don’t get over their dependency that easily. The cadaver dogs make a ruckus by the shed and Luke continues to yell, but Anna doesn’t hear. The police find a spot in the woods. A body is found with Anthony’s ID. Anna tells her men to keep it quiet, that she wants the element of surprise on her side. As they’re leaving the dog again react to the shed, but Anna ignores it again and Luke is left behind. Someone is watching and took pictures of John and Sam’s kiss.